4 Plant Deal! This patio container mix contains 4 fresh Plumeria plants, each in their own 7 inch deep, reusable grow cone. These plants are not labeled and are selected at random by the staff at the time of shipping. We always choose the largest, near overgrown plants for these mixes. This is the easiest, most economical way to start your Plumeia garden. ABOUT THIS TROPICAL PLUMERIA, FRANGIPANI. You don’t have to live in the tropics to grow aromatic Hawaiian Lei flowers. Plumeria are well suited to container growing, drought tolerant and due to their minimal foliage they don’t topple in the wind. See care and container size below. The growth rate of will vary greatly depending on soil type, sunlight, temperature and other factors. A few leaves are often trimmed prior to shipping to reduce transpiration and travel stress. Tropical Plumerias grow happily while flowering in a pot or in-ground. They will add a showy accent to your outdoor space, garden or patio. 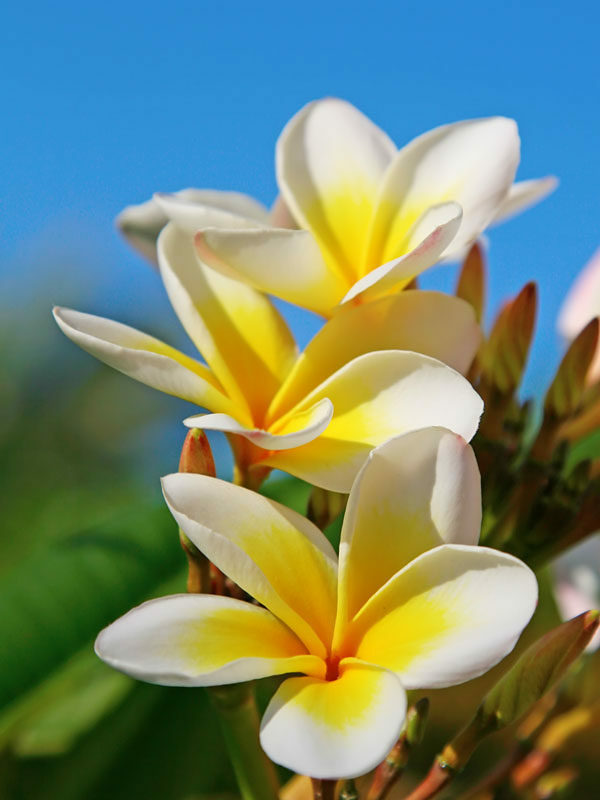 In cooler zones a containerized Plumeria can be relocated indoors for the winter months. 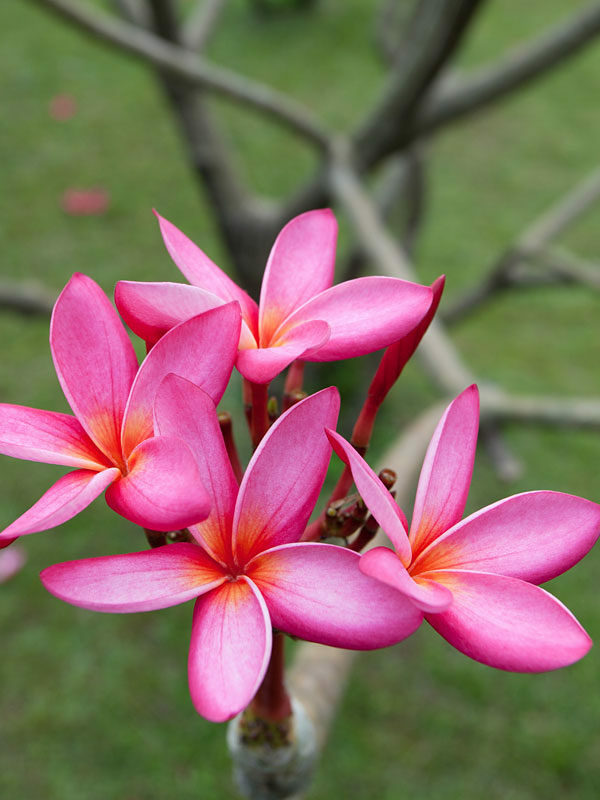 When you receive your new Plumeria, there is no need to worry about planting right away. Your new plant can be stored for a while by simply placing it in a bucket with about a half inch of water and moving it to a shady location, simply keep moist. This will give you plenty of time to select the ideal location for your new tropical Plumeria. 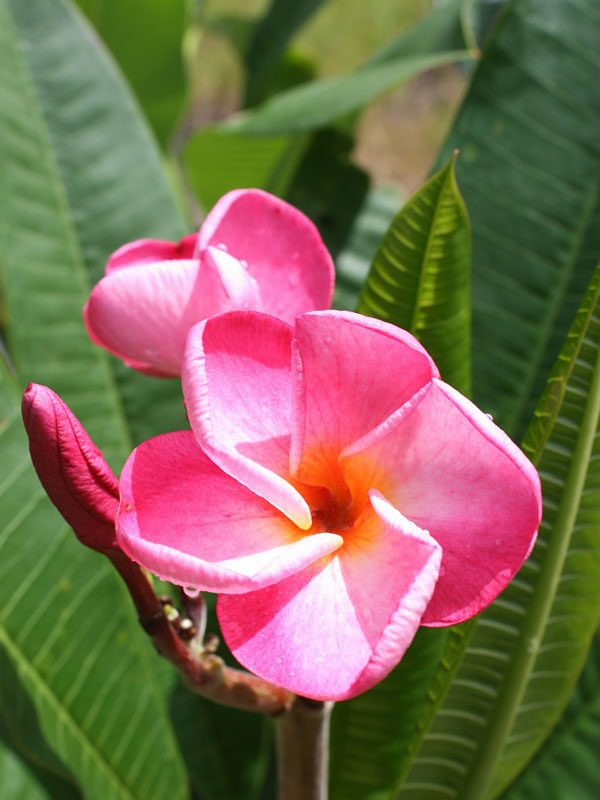 All Plumeria varieties grow well in containers, indoors or on the patio. 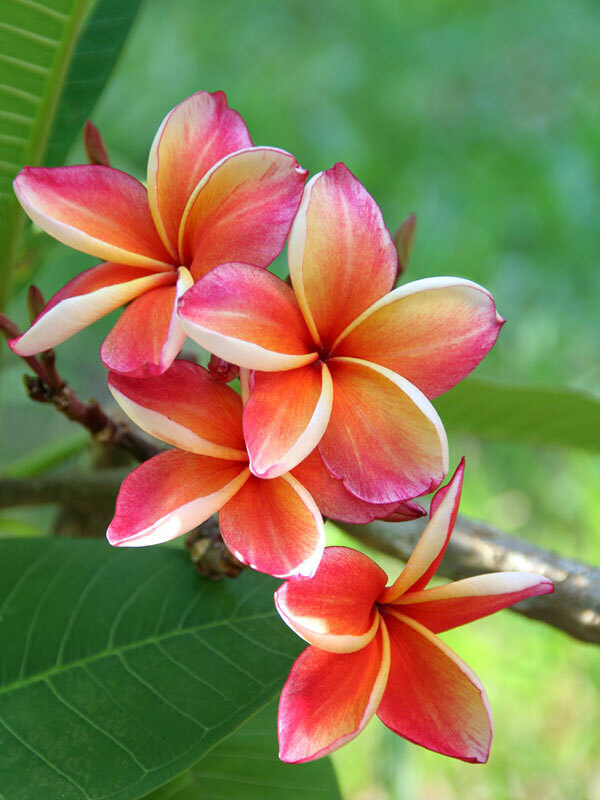 Plumeria need room for growth, generally a 12″ to 30″ diameter, 14+” deep container will suffice. Remember the looser the roots, the taller and healthier your Plumeria will be. When the Plumeria becomes root bound its growth will slow, at that point it is time for a larger pot. 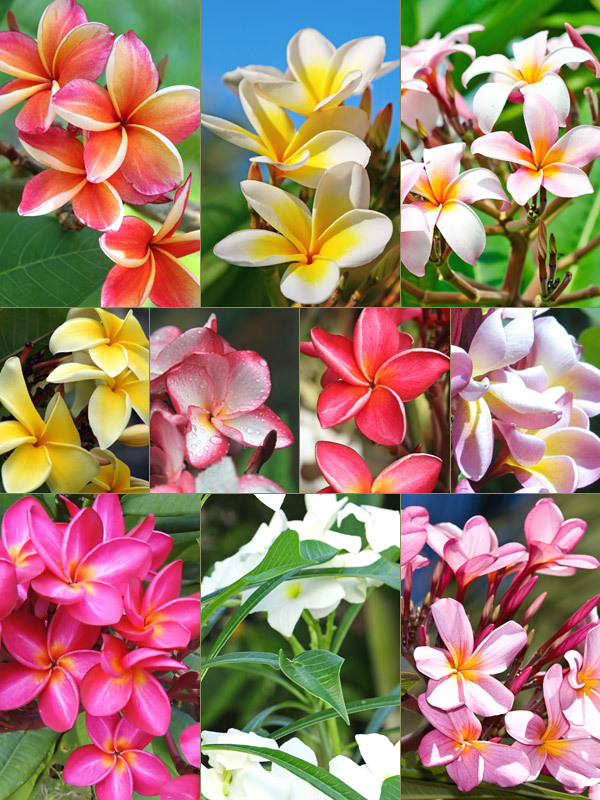 Plumerias enjoy a well drained, general potting mix easily found at your local box store. Remember try to stay away from arid or wet, mucky soils. 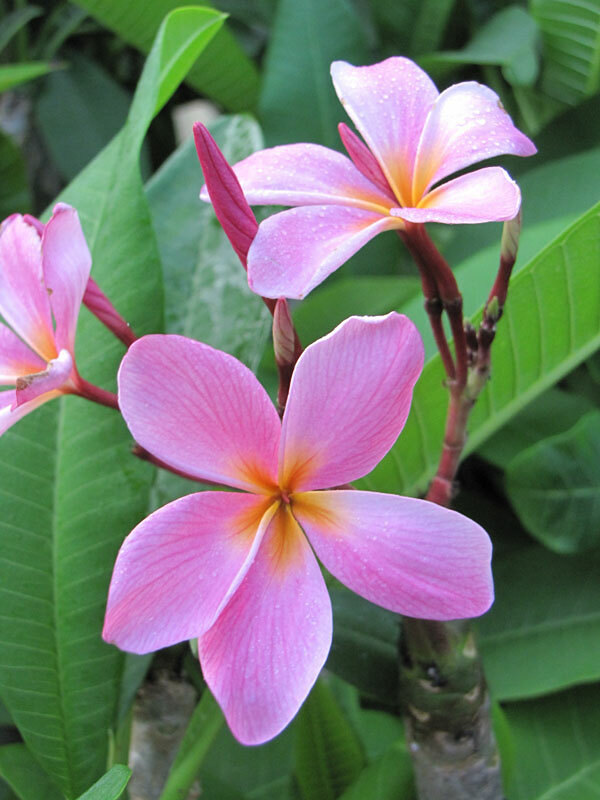 To help establish your new Plumeria, fertilize sparingly ten inches away from the base, tri-annually with a slow time released product. Unfertilized they will tend to grow at a slower pace. Note: The heavy salts in cheaper fertilizers will damage the roots and possibly kill the plant. Its best to use a brand you know and trust. Best outdoors if grown in zone 10a-11, find your zone here. This Plumeria requires 80-100% sunlight. Depending on your location full sun is often best. 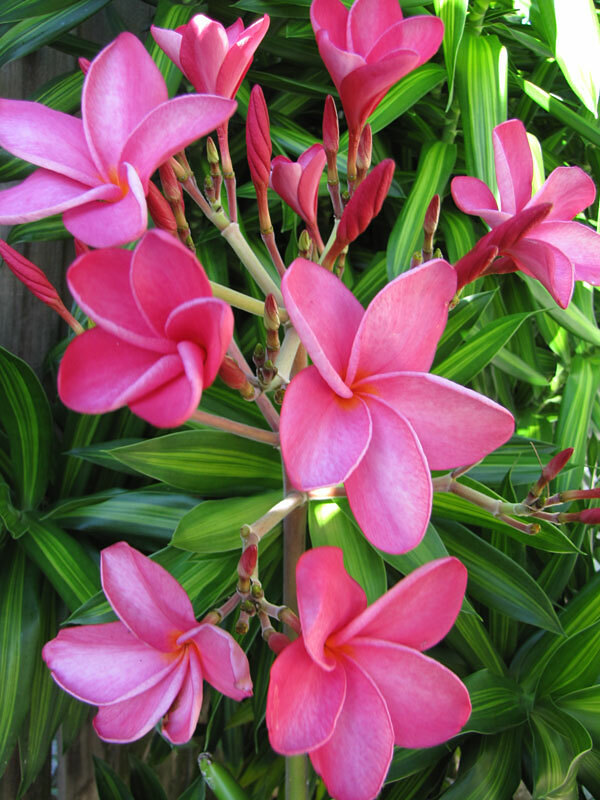 In the northern end of their grow zone Plumerias should be brought indoors or protected during the winter months. The patio zone is 4b-11 which means the potted Plumeria will flourish over the summer months in colder zones but must be brought inside before winter. At the nursery these Plumerias are grown under 20-40% shade cloth. If you plant this Plumeria in a brightly lit area you may experience leaf burn. It is best to acclimate this plant to its environment by keeping it outside and slowly moving it into a sunny area over a week or two to avoid stress before planting. All Plumerias for sale will vary in size. In the spring, Plumerias are often smaller than Plumerias shipped in the fall. Plants designated with a sku ending in -4, -6 or -8 will arrive in a standard 4 inch, 6 inch or 8 inch round growers pot respectively. Our new, reusable, recyclable deep plugs are 7 or 9 inches deep and 2 or 2.5 inches in width. Products growing in these pots are easy to transplant and allow for deeper roots and faster growth, they are designated with a sku ending in -7 or -9. (Note: The item sku number can be found just below the buy button.) The color and style of these pots may vary. If we are out of a particular size item, we may ship a larger size at no additional charge. For more information, click the “best packaging” link at the bottom of this page. Note: Before leaving, plants are inspected, watered, and pruned. Larger plants, generally those that ship in 8″ pots, will be topped to 36″ or 48″ overall, depending on the variety, if necessary, to facilitate shipping. Your new plants’ pot is then bagged to ensure that the soil stays in the pot and not loose in the box. Plants are tissue or kraft paper wrapped and generally secured in place with natural biodegradable peanuts. You may want to order your Plumeria Plant (hawaiian frangipani) online now while they are in stock, supplies are limited.